Founded by Paralympian Marayke Jonkers, Sporting Dreams is a foundation assisting people with physical disabilities to enjoy fun, fitness and personal development through sport and to achieve their sporting dreams – becoming role models for a fit and healthy lifestyle in the process. We provide grants to assist with the cost of equipment such as racing wheelchairs, and to assist with training and competition expenses. 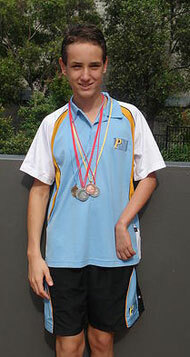 Sporting Dreams was founded by Paralympic medal winning swimmer Marayke Jonkers in 2008. When Marayke won $10,000 as the inaugural Cosmopolitan Magazine fun fearless female she decided to use the money to start sporting Dreams. Marayke says she always wanted to give something back to sport, which has given her so many opportunities. Marayke was voted as the winner by Cosmo readers, after being named as one of five finalists for the award. She was flown to Sydney for a gala presentation where she and the other four finalists were dressed and styled by the Cosmo team (including Jennifer Hawkins make up artist much to Marayke’s delight) before they walked the red carpet. The fund is administered by the Queensland Sporting Wheelies and Disabled Association and all donations over $2 are tax deductible. Why do athletes with disabilities need support? Athletes with disabilities train just as hard as able bodied athletes and experience the same thrills of sport: the joy of winning, the agony of losing and for very elite athletes the pride of representing Australia. An able-bodied athlete who wants to learn to swim can join the local swim club and swim in a squad, who share the costs of a coach. Often a swimmer with a disability may require one on one coaching at a much higher expense. When athletes are given the equipment and support, their is no limit to the sporting glory that can be achieved. And the whole community is inspired. At the moment Queensland athletes can access a grants through the Sporting Wheelies and Disabled Association to cover half their travel costs to competitions, and opportunities for coaching and are becoming more available than ever before. But Marayke saw a huge unmet need – athletes and their families but are left to foot the bill or fundraise for often equipment and training- which is why she founded Sporting Dreams. Our aim is to change lives through sport by providing grants to help people with physical disabilities become involved in sport and even unearth some future champions. The grants are open to beginner and developing athletes and are awarded once a year, covering equipment, training and competition costs. To change lives through sport by providing grants to help people with physical disabilities live an active lifestyle and participate in competitive sport and achieve their sporting dreams. The grants are awarded once a year and cover equipment, training and competition costs. To have a significant impact on each athlete who receives a grant by providing inspiration and mentoring in addition to a funding grant. The Sporting Dreams logo was designed by Kylie Jackat of Dalee Design and Butterfly Kids. It is a symbol of a successful athlete, arms raised in victory as they cross the finishing line. 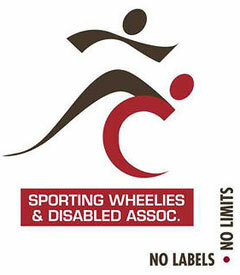 The circular shape represents a racing wheelchair , and the arms could also be seen to represent wings as the athlete takes flight and reaches for the stars. The colours lime green and blue were chosen to represent the earth and water where all athletes compete, as well as incorporating the Australian colours of green and gold. The stars also have a double meaning, representing Australia in the form of the Southern Cross and also encouraging athletes to ‘reach for the stars’ and chase their Sporting Dreams.